The new edition of The Meaning of Movement serves as a guide to instruction in the Kestenberg Movement Profile (KMP) and as the system’s foremost reference book, sourcebook, and authoritative compendium. This thoroughly updated volume interweaves current developmental science, cultural perspectives, and KMP-derived theory and methods for research and techniques for clinical practice. Through the well-established KMP, clinicians and researchers in the realms of nonverbal behavior and body movement can inform and enrich their psychological interpretations of movement. Interdisciplinary specialists gain a way to study the embodiment of cognition, affects, learning styles, and interpersonal relations based on observation and analysis of basic qualities of movement. Abstract: This paper posits that an infusion of psychoanalytic concepts into the teaching of sociology in undergraduate liberal arts curricula offers a route to expanding students’ understanding of how self and society are entwined in a condition of mutual crisis in contemporary society. We argue that the liberatory project at the core of the liberal arts is served well by linking the critical perspectives found in these two disciplines. We provide as specific examples from our own teaching: (1) a demonstration of how Freud’s concept of neurosis has an affinity with Marx’s concept of alienation; and (2) a discussion of how the torture sequence in Orwell’s 1984 presents an inversion of a psychoanalytic treatment through which the power of propaganda is illuminated. We conclude that teaching the two disciplines in tandem helps students grasp how the self is a socially constructed entity and how the orthodoxies of neurosis and social control are available for critique and change. Special Kind of Love In Psychoanalytic Work. Love, Loss: Creating A Meaningful Life, AAPCSW, 2010. The concept of parental conflict, as it is used in the custody evaluation literature, rarely conveys the motivational complexity of chronic parental acrimony. The concept of pathological hatred better describes and explains why some parents continue bitter fighting years after their divorce. Kernberg’s classificatory schema of pathological hatred is applied to high-conflict divorces in which such hatred may be viewed as an effort to destroy, while at the same time desperately needing, the other parent. Difficulties mourning the lost marital relationship, stemming from either character pathology or childhood trauma, create a fertile breeding ground for pathological hatred. The concept of parental competence is also frequently oversimplified in the custody evaluation literature, where it is viewed as an assortment of unrelated skills. From a psychoanalytic perspective, the capacity for parenting is viewed as an outgrowth of a parent’s object relationships, defensive structure, ego functioning, superego functioning, and unresolved developmental conflicts. Pathological hatred of the other parent tends to erode the parent’s capacity for nurturance, as the parent sacrifices support of the child’s developmental needs to the goal of making the child a pawn in the interparental hatred. The negative impact on the child’s development can be insidious. An understanding of pathological hatred in high-conflict divorce enables the forensic custody evaluator to assist courts in making appropriate recommendations for therapeutic intervention, as well as custodial and visitation plans that have the potential to ameliorate or at least contain the damaging impact of the interparent hostilities on the child’s development. Discussion Group: Deepening the Treatment. APsaA national meetings 2005-present, NYC, Chicago, San Francisco, Seattle. "Gender Benders: Premodern, Modern and Postmodern Gediman Perspectives"
"Female Perversions - Psychoanalytic Commentary on the Film Based on the Book by Louise J. Kaplan"
Publisher: Northvale, New Jersey and London: Jason Aronson, Inc.
"Love and Death in Fatal Attractions"
Author(s): Bellak, L., Hurvich, M., and Gediman, H. K.
Psychoanalysis Today: A Case Book addresses the two issues currently of major concern in the field of psychoanalysis. The different theoretical models, and the need for more case material in the literature. Thus, the main theme for the 5th. I.P.A . Congress of Training Analysts is on Problems in the Integration of Different Theoretical Frameworks in the Formation of the Psychoanalyst. Klumpner and Frank (J.A.P.A. 1991, Vol. 21) state that after reviewing papers from the leading journals, “ not a single one of the fifteen papers included any significant amount of primary clinical data! … we found no verbatim examples and only one dream fragment … we also believe that case reports … remain our most compelling means of communicating these clinical findings.” Meeting these concerns, Psychoanalysis Today: A Case Book contains in-depth studies of cases highlighting the leading analytic models of personality and the typical working styles associated with each: classical theory, object relations, ego psychology, and self psychology. Cases showing an analyst weaving a tapestry of several models with the same patient are also included. 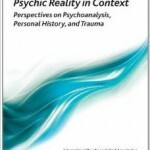 Psychoanalytic literature contains many summaries of clinical case material, but details of the actual work of the analyst are extremely rare. 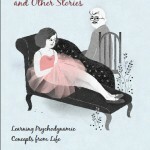 Psychoanalysis Today: A Case Book will help fill that gap. Here are in-depth discussions of work with a single individual followed over time, demonstrating personal change and how it occurs. Abstract concepts come vividly to life. These cases are focused on the shared experience of the patient and the analyst. They tell the story of that experience and its effect on the patient’s life both inside and outside the consulting room. There are many voices in this book. The reader can contrast different styles; different assumptions; a whole range of viewpoints. This book will be of particular value to students. There is no comparable source for seeing just how mentors work. Also, practicing psychoanalysts and psychotherapists will find a chance to study the work of their colleagues in close detail. This is a pleasure quite unavailable in the daily rush of professional life. Programs in psychology, social work and other behavioral sciences, as well as schools of medicine, will use this book as a text or supplementary source. It is an invaluable reference tool for libraries. This book has mass appeal as well: the reader will learn about those forces leading us to feel and act as we do. There is the drama of seeing lives unfold. We see how the actual events between analyst and patient, evolving over time, gradually and with much difficulty, bring liberating changes in the patient’s experience of life.